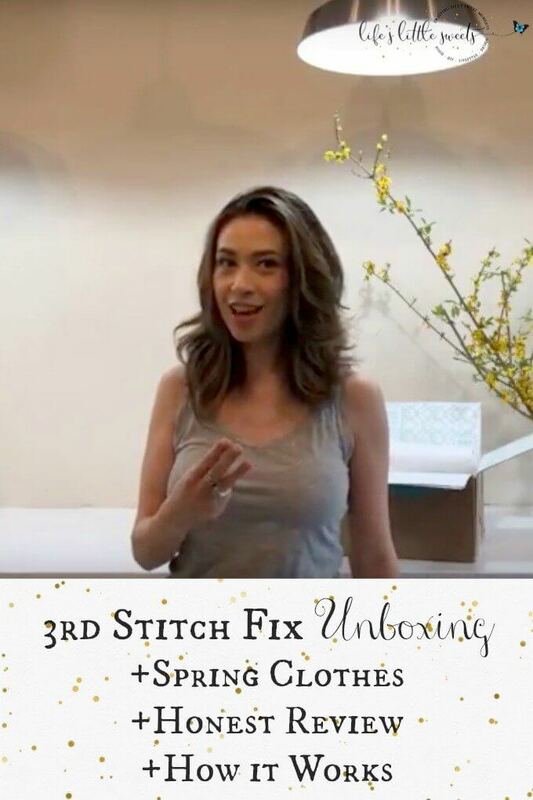 3rd Stitch Fix Unboxing – Spring Clothes, Honest Review, How it Works (video). Hi Everyone, I’m sharing my 3rd Stitch Fix Unboxing! I am sharing some new Spring clothes to add to my “mom style.” I also share how it is going, being that it’s my 3rd unboxing. Did you see my first or 2nd unboxing videos? You might also want to see my recent ThredUp Review and Unboxing Video. Thank you for watching and following along! This video was originally aired on my YouTube Channel where you can subscribe and you can also see it, Here. Be sure to sign up for the Life’s Little Sweets e-mail newsletter for more updates and FREE recipes!